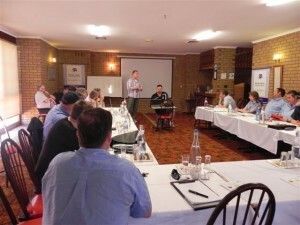 Canine Services International can deliver customised educational services including seminars and workshops for your organisation, club or agency that addresses areas of particular interest or concern. We have been delivering information in this way over a long period of time, and have delivered to the broadest range of audiences. We are great at putting forward the concepts and understandings involved in the relevant topic/s in a way that everyone in attendance can understand, as well as talking at a technical level that suits the audience. Canine Services International invests the necessary time to establish a solid relationship with our Educational Services clients, establishing exactly what they want, exactly what they need, and how we can best be of assistance to them. We give 100% effort when putting together an event for your group, club, agency or organisation – and it definitely shows in the end result, meaning the participants an those in attendance will be very pleased they attended. The case studies in the tabs below show what a wide variety of material we are able to present and/or facilitate. Our broad range of experience means that we can definitely accomodate any requests for dog training and behaviour related events, seminars and workshops that you, your club or your organisation may have. Canine Services International have an unmatched ability to provide innovative, high quality dog training and behaviour related educational services and events, seminars and workshops to all sections of the dog training and behaviour community including but not limited to pet dog owners, industry professionals, the private sector and government agencies/departments. Canine Services International offer Australia’s most progressive and advanced dog bite prevention and harm minimisation curriculum. 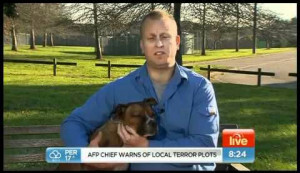 We are routinely sought by the media for Subject Matter Expert (SME) commentary relating to aggressive dog incidents, as well as being a long term Specialist Presenter for the NDTF on matters relating to canine aggression. 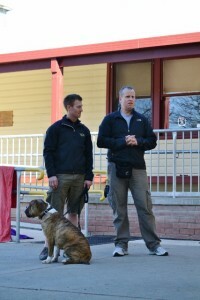 We are also the exclusive provider of all canine related education to Victoria’s leading body of Authorised Officers. Our unique curriculum has been written from the ground up to address the issue of dog bites for a variety of target audiences and occupational groups. As a result of this fresh approach much of the skills and content we share not only directly contradicts traditional dog bite prevention methodology, but proves it to be downright dangerous. We have a demonstrated ability to deliver our exclusive curriculum throughout Australia, and it can be customised to address the specific requirements of your organisations OH&S requirements. All training is delivered by appropriately experienced SME’s that have a significant history of working with dangerous dogs – at both ends of the leash. Find out for yourself why our specialist, state of the art curriculum represents the most intelligent choice in dog bite prevention training for you and your organisation. Aimed at creating an enjoyable, challenging and informative learning experience our variety of established curriculums are flexible enough to be adapted to a large variety of audiences. Content of our programs can be tailored to suit the individual organisation’s requirements. If your organisation has a very specific training or professional development requirement then our highly effective consultative process will ensure that we can rapidly develop and implement an educational offering that will correctly address your needs. Canine Services International also have a variety of options for registered charities that can make investing in upskilling your organisation more accessible than ever before. Remote Collar Implementation & Use. 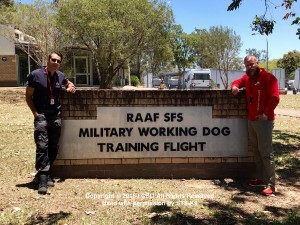 Nino Drowaert attended RAAF Base Amberley in November 2017 to share his perspective on development and application of working dogs. As the head of the K9 Unit in Antwerp, Belgium Nino’s perspective brings together a strong sporting perspective with an absolute requirement for producing reliable and high performing K9’s that can be applied in a wide variety of environments and often very challenging, highly charged urban contexts.Military Working Dog (MWD) handlers from throughout the Australian Defence Forces were invited with a number of units attending including multiple specialist elements, representing a wide variety of K9 applications and potential mission profiles and requirements. 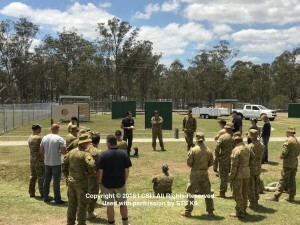 Example: Franco Angelini 2012 – 40hr Decoy Workshop for LE/MIL personnel. Franco Angelini is an American K9 specialist in the field of law enforcement and military dog development, with a particular interest in developing the skill sets of other law enforcement and military K9 handlers and trainers. 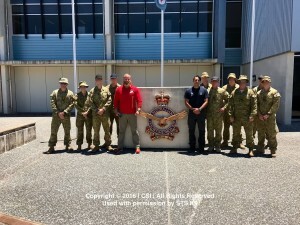 Canine Services International were responsible for much of the work necessary in bringing Franco to Australia November 2012 to share his unique skill set with members of the Australian law enforcement and military community.